Introducing Clash Of The Titles! Here at Green Man Gaming we want to get our community and fans included as much as possible. In light of this we though it would be an awesome idea to introduce a brand new game face off where the community can vote for their favourite titles. What’s more, anyone who votes in any of our Clash Of The Titles will get a voucher for 5% off at Green Man Gaming! All you will need to do is give us your email address once you have voted in order for us to send you your voucher, we will also keep you up to date on how the competition is progressing! Introducing, Clash Of The Titles! We have noticed that there have been a fair few famous faces cropping up in our games recently, so this month we thought we’d have these celebrities fight it out! Sadly though, we couldn’t get hold of their agents (we called, left messages, even sent a carrier pigeon..nothing) so had to settle for a Clash of The titles bout instead. There have been many celebrity appearances, voice credits and cameos in some of our favourite video games over the years. From Liam Neeson’s Fallout father figure to Luke Skywalker’s Mark Hamil’s Arkham Joker. We’ve collected some of the most notable – but which celebrity appearance was your favourite? Here is how Clash Of The Titles works! Come back and vote again for the title you want to win – you can still get another voucher! All you need to do now is get voting! 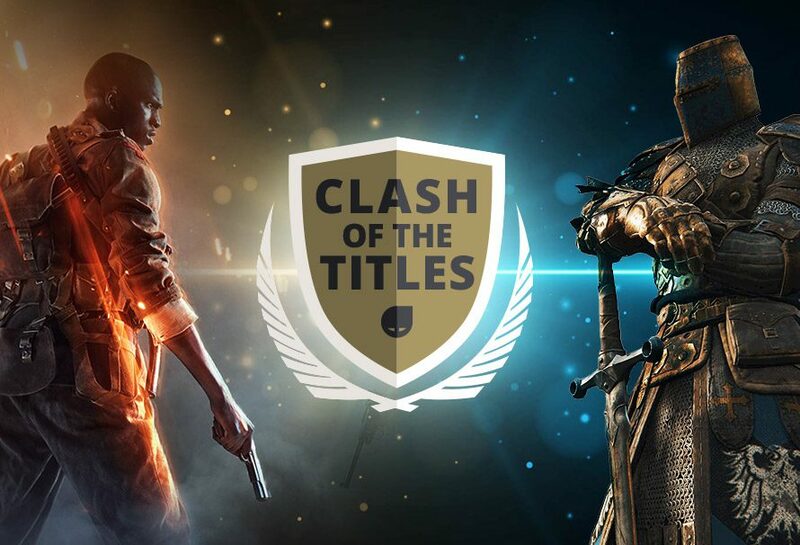 Click here to take part in our first ever Clash Of The Titles!